2016 UAA Sitka Nursing Cohort – Welcome to Nursing School!! Thanks to all of you who attended the orientation today in Sitka, by phone or even in Fairbanks (we are a far spread bunch). I saw today that students were able to access the BlackBoard site, so we will be able to transition to the courseroom there. Look for this courseroom – I have asked EACH of you to email me when you get into the courseroom so I know that everyone is set. 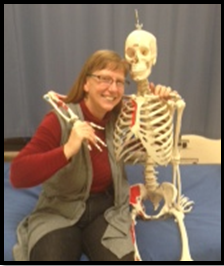 Remember that you will have 2 classes this semester – N120 which is distance/videoconference from Anchorage (Dorothy is the instructor) and N120L which is your local Sitka class for labs/clinical (I am the instructor). I hope you are getting excited about starting school. To make as smooth of a transition as possible UAA Anchorage is hosting a video conference orientation. Please bring a laptop if you have one – if not, a few will be available (but are pretty slow). If you cannot attend in person, I have a phone number where you can call in. Please RSVP by making a comment to this post so I know how many to plan on. See you there!! 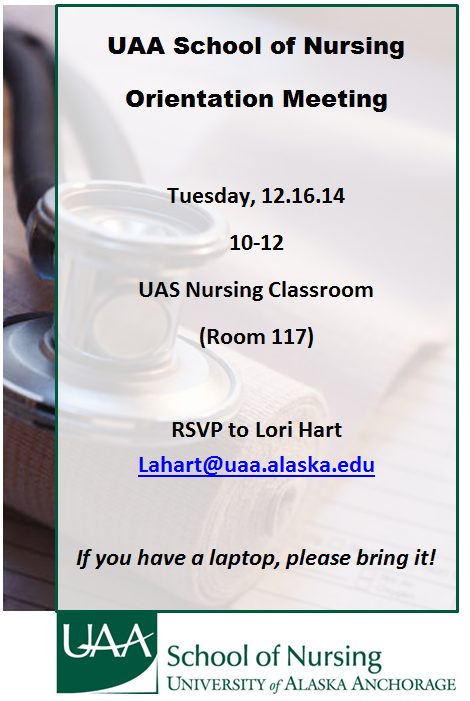 Welcome to the UAA Sitka nursing cohort. Until classes begin in January, this will be our site for announcements and a place for you to get to know each other. Please feel free to post your questions and comments to each other. It would be great also if you would post a picture and an intro so we can get to know you. nursejohanna on Hello new nursing students! nursejenna on Hello new nursing students! nursedonna on Hello new nursing students! nurserobert on Hello new nursing students! © 2019 2016 UAA Sitka Nursing Cohort.